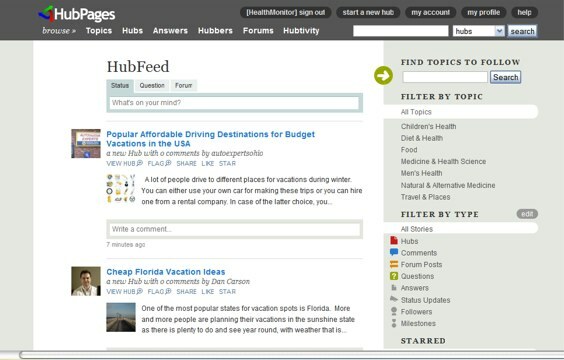 HubPages, a content community based around topics, is adding a new real-time feature this week: feeds. The site lets anyone create “Hubs” around any type of topic, and divided content into forums, questions and answers. HubPages is also growing, seeing 20 million unique visitors in November and growing 112 percent in traffic over the past year, according to Google Analytics. HubPages faces competition from Squidoo, Mahalo and About.com.